Harrisburg International Airport (HIA) is doing well and traffic is up. With the price of fuel, many airlines are looking at the cost-effectiveness of their 50 passenger regional jet fleets. With todays fuel prices it has become more cost-effective to fly larger planes. Fortunately, HIA is equipped to handle larger planes. There are 1.8 million people within an hour of HIA which makes this a sizable market. Because of this, many carriers flying into the HIA will simply start using larger planes. Delta has seen at 50 percent increase in traffic on their DFW to HIA route due to the Marcellus Shale gas industry. 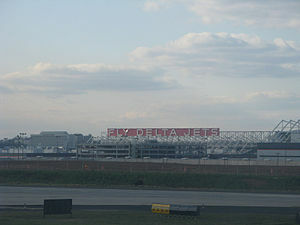 Harrisburg is the hub of Pennsylvania’s state government and home to large companies like Hershey, which use air travel for business. Airport officials are stating American Airlines bankruptcy filing will not impact travelers flying out of HIA. What American Airlines decides to do with its regional airlines will determine what the future holds for HIA, not the bankruptcy filing. Smaller market airport like State College and Venango Regional will most likely be under scrutiny by airlines as they decide whether flying from these locations remains cost-effective. Can these smaller markets generate enough passengers to fill 70 – 100 seat planes? Time will tell. $20 is the weapon of choice for Re-Occupy Pottstown Local Businesses’ next shop-local-first event, “Cash Mob.” For each “cash mob” event there will be a prearranged meeting spot (our first “cash mob” location will be The Gallery on High on Saturday, December 3 at 11 am). We will meet with $20 in hand ready to be spent at the local business (anyone can spend more if you are able and would like, of course). This is a great demonstration of how, with a focused, joint effort, each person’s purchasing power can truly make a difference. Please join us as we kick off our first local event! We will meet at Frecon’s Hard Bean at 10:30am on December 10th. Here you will receive information on local merchants and a tag to wear which identifies you with THRIVE. From here you are free to support local busines…ses as you shop for the holidays. 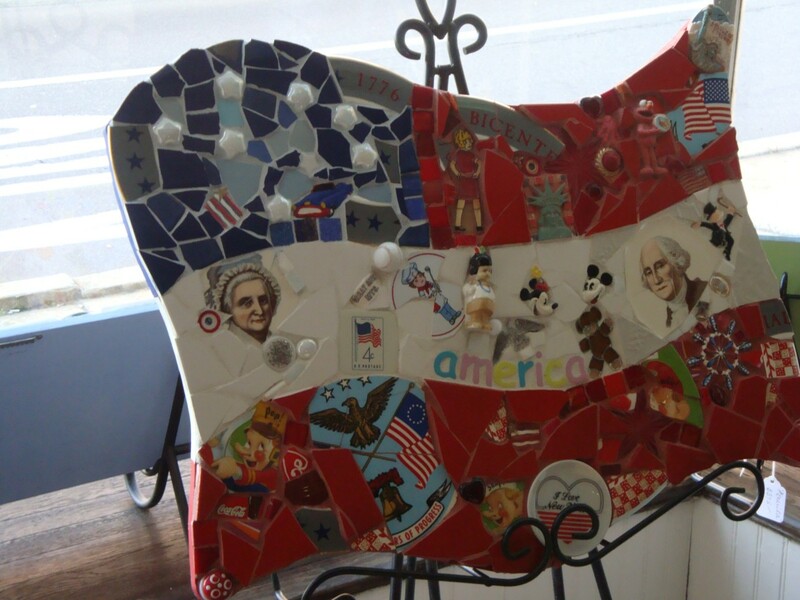 Solo, or with others, stroll Boyertown‘s Main Street area and do your part to help restore the American Dream! A reception will be held at Clayote from 1-2:30pm where shoppers can relax, nourish and imbibe. Event facilitators will be available at the Hard Bean until 11:30am. I commented last year and cited examples of other cities and towns in Pennsylvania who have more size appropriate budgets. Pottstown’s budget is enormous! Jeff Leflar makes some good points in his recent post on The Pulse about Pottstown’s spending addiction and the inability of our leadership to cut expenses. We continually raise taxes! Eventually nobody will be able to afford to live here! PITTSTON TWP. – Delta Air Lines Inc. is adding a flight and upgrading another at the Wilkes-Barre/Scranton International Airport next year, officials said Monday. On Jan. 4, Delta plans to upgrade its daily flight to the Hartsfield-Jackson Atlanta International Airport from a 50-seat aircraft to a 65-seat aircraft, airport Director Barry Centini said Monday at a regularly scheduled airport board meeting during which projects and plans for an authority were discussed. He also said Delta on March 3 will add a fourth flight to Detroit Metropolitan Wayne County Airport. The additional flight will bring Delta’s total departures to five, with four to Detroit and one to Atlanta. Carbondale, PA‘s largest employer and the last remaining Catholic-affiliated hospital in the region will close by Feb. 28, a move officials said was unavoidable as the number of patients dwindled and financial struggles multiplied. Marian Community Hospital will have an operating loss of $2.6 million this year and projected an operating loss of more than $4 million in 2012, according to Mary Theresa Vautrinot, president and CEO of parent company Maxis Health System. The hospital is licensed for 70 beds but scaled back to 35 in January 2010, according to hospital officials. For the past six months, the hospital has had an average daily census of 20 patients. This is a classic example of why competition is necessary in an economy. Southwest Airlines is ending their Philadelphia to Pittsburgh nonstop service on January 8th. Starting January 9th, US Airways will be the only carrier with nonstop flights between Pennsylvania‘s two largest cities. Today, a nonrefundable round-trip ticket will set you back $118.00 before taxes. After Southwest ends their nonstop service, the same ticket, for the same flight, will cost you $698.00 on US Airways. Taking a flight with one connecting stop makes flying almost equivalent to driving across the state. Amtrak and Megabus are also not options for business travelers who need to make same-day round-trips. Just another example of corporate greed. Michael Jackson’ s physician Conrad Murray received a sentence of four years after being convicted of involuntary manslaughter for his role in death of the King of Pop. With good behavior Murray could serve less time as the sentence is for a maximum of four years. We’re all familiar with the songs of the Season . . . “Away in the Manger”, “O Little Town of Bethlehem” or “Hark! The Herald Angels Sing”, to name a few, but is Christ’s story alive to your family and a part of your Holiday celebrations? On December 18th from 5:30 p.m. – 8:30 p.m., as a gift to the community, we invite you and your family to join us, free of charge, under the blanket of the night sky for a journey back in time. You will walk with a Shepherd Guide, following the star of Bethlehem and visit five live scenes that tell the story of Jesus’ birth. You will visit the manger–see the live animals; hear how the angels and shepherds joyously spread the word about Jesus’ birth; see the delight of the Wise Men presenting their gifts of gold, frankincense and myrrh and, share in the joy of the Christmas Story as told by our Grandparents. Finally, the Family Life Center will be filled with familiar sounds of the Christmas music we all love and enjoy, complimentary hot chocolate and cookies; free craft activities for the children and an opportunity to reflect on the true meaning of Christmas with your friends and family. The Live Nativity will be from 5:30 p.m. – 8:30 p.m. on Sunday, December 18, 2011 at Cedarville UMC, 1092 Laurelwood Road, Pottstown, PA. This is an outside event, so please dress accordingly. Parking is free and the event is handicapped accessible. For directions or more information you may go to our website at www.cedarvilleumc.org or call the church office at (610) 326-4173. 28th Annual Pennsylvania Christmas Craft and Gift Show Starts December 1st! If you want to shop till you drop then look no further than the Farm Show Complex in Harrisburg. The 28th Annual Pennsylvania Christmas Craft and Gift Show has HUNDREDS of vendors with merchandise for every taste and budget! In addition to shopping, there is food, entertainment, a 120-foot train display, gingerbread house building and visits with Santa for the kids! OMG you say! Tell me more! If you live in the area and have little ones who still believe in Santa, you can head on over to the Elmwood Park Zoo in Norristown on December 11th, 17th or 18th and have some holiday family fun! The holiday event features food, zoo admission, entertainment and pictures with Santa for $25.00 per adult and $15 per child. The menu includes scrambled eggs, an omelet station, French toast, Belgian waffles, Chicken Primavera, eye of round roast and much more! 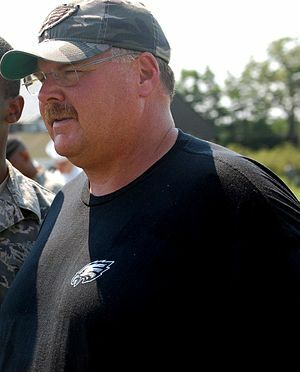 Yesterday’s disgraceful loss by the Philadelphia Eagles to the New England Patriots has fans calling for Andy Reid‘s head. As usual, Andy “takes responsibility” but offers no solutions. The game was painful to watch. The “Dream Team” is an embarrassing nightmare as evidenced by the booing from Eagles fans. We can’t even win a game on our home field for cryin’ out loud! Dropped passes, poor coverage, interceptions, a total Red Zone collapse and the list goes on and on. Something drastic needs to happen. If that means Andy Reid gets the axe then so be it. Jeff Lurie better pull a rabbit out of his hat while he still has a football team left! We need our mojo back! Many people are familiar with the song “The Twelve Days of Christmas“. Each year somebody figures out how much it would actually cost to give all these gifts. This year is no exception thanks to PNC Financial Services and PNC Wealth Management. This year’s high ticket item – seven swans-a-swimming. It would set you back $6,300! That is a 12.5 percent increase over last year. The eight maids-a-milking would only set you back $58 because we are in a recession and they only get minimum wage, evidently. The partridge, sans pear tree, would only set you back $15. If you buy your gifts online, it would cost 16.1 percent more than schlepping to the store yourself. Don’t forget that ordering online would include shipping live birds! Hometown Holiday Brunch – Farmer’s Market and Juan Carlo’s. Reservations! To buy tickets call (610) 323-5400 by December 12th! Grumpy’s, J&H Produce, Freeland Meat Market, Cole’s Tobacco, Tri-PAC, Rich Renieri, Argento’s Pizza, Laserworks, Weitzenkorn’s, High Street Music, Christian Science Reading Room, The Brick House, Flaming Franks, Bistro 137, Old World Barber and Company Cakes. While I was downtown today supporting Small Business Saturday, I was temporarily whisked away to the Mosaic Community Land Trust’s new digs at 10 South Hanover Street by Katy Jackson. Katy is one of the founding members of the Land Trust and she was eager to show me the progress they have made fixing up their new space. The first floor is a revolving art gallery and office space for now. 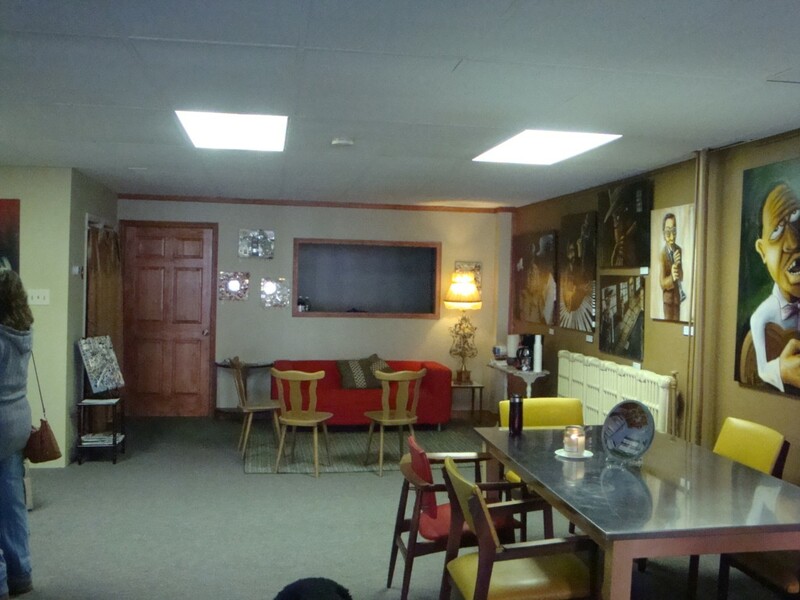 Future plans include renovating the second floor and using the art gallery space on the first floor for events in a coffee-house style setting. There are even plans to serve food. This is very exciting because having organized events will help draw people into the gallery and in turn support local artists and musicians. Mosaic Community Land Trust supports the revitalization of Pottstown. To that end the Land Trust will begin restoring properties in town and reselling them to people looking for affordable housing. 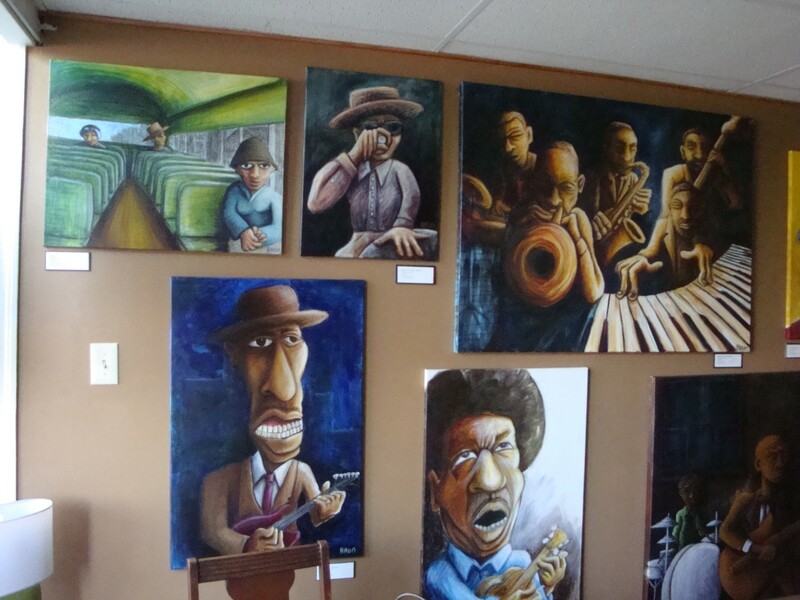 Mosaic’s plan also includes growing the arts community in Pottstown. Revitalization via the arts has a proven track record across our country. We have a fledgling arts community already and adding to their numbers will only hasten the rebirth of Pottstown. Removing blight and increasing the home ownership percentage in Pottstown will stabilize neighborhoods, reduce crime, increase property values and help reduce the tax burden. 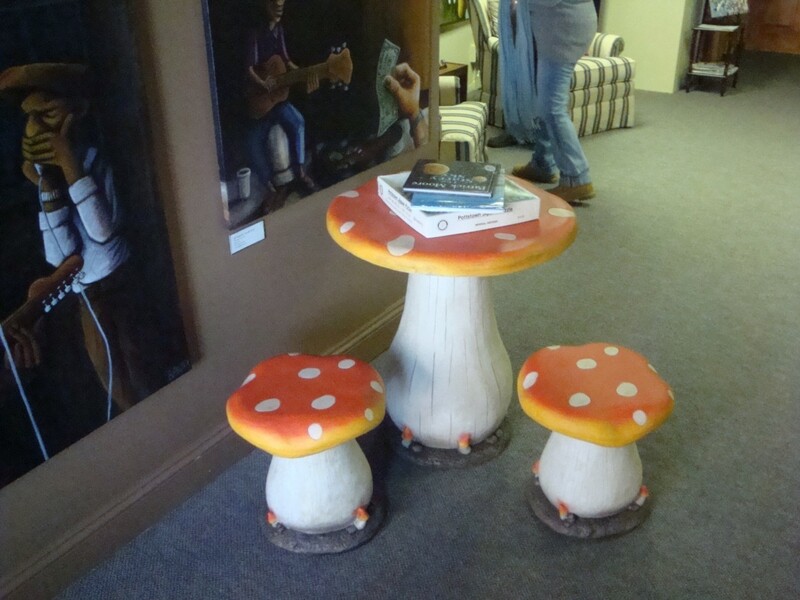 We urge you to stop in and check out the art, learn more about Mosaic and see what you can do to help move Pottstown forward. 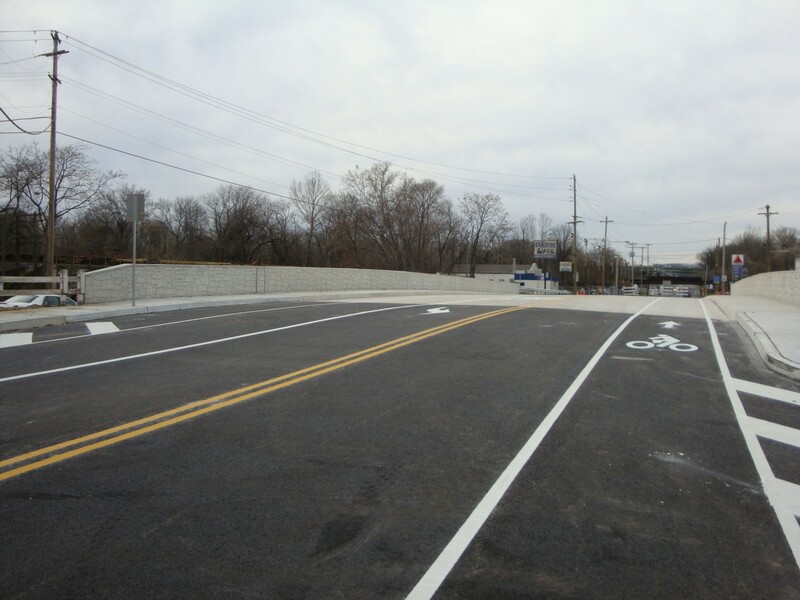 Pottstown’s High Street Bridge Construction Moving Ahead! 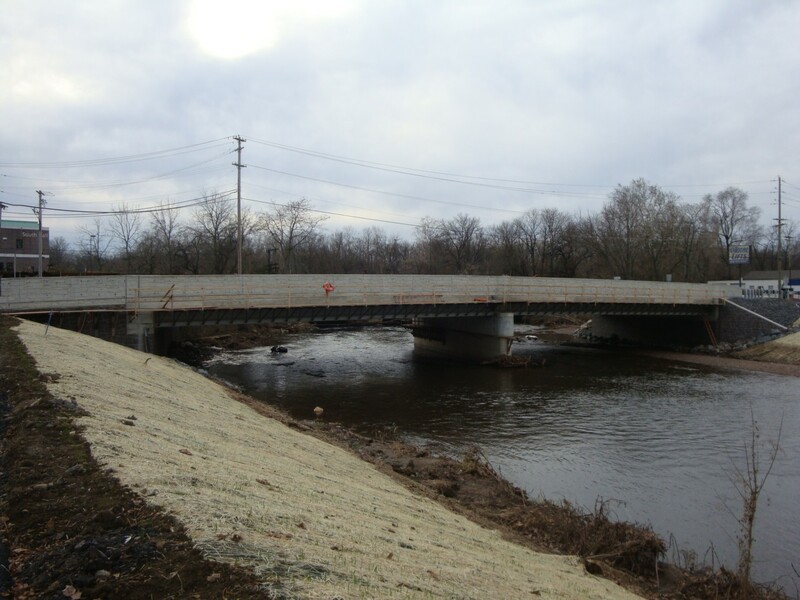 From these pictures you can see how much progress has been made on replacing the High Street Bridge over the Manatawny Creek. It would seem the project is nearing completion! It will be nice to have one less detour in and around Pottstown soon! Occupy Pottstown’s Small Business Saturday Event A Success! Today’s Occupy Pottstown event was not the usual demonstration or rally. Instead, Occupy Pottstown members shopped and dined downtown from 10am until 1pm. The emphasis of today’s event was to support downtown merchants and let them know Occupy Pottstown members are committed to shopping locally first, when possible. In other words, walk the talk. Occupy Pottstown members distributed literature downtown ahead of today’s event and had the support of PDIDA and many merchants. Occupy members wore identification tags so that local merchants could see the tangible impact organizing an event like this would have. Occupy members were greeted with enthusiasm by local merchants. After today, several members have decided to do as much of their Christmas shopping downtown as possible. Supporting Pottstown’s existing businesses will encourage other entrepreneurs to consider opening a new business in Pottstown. I would say the four people in my group easily spent $250 downtown today. Imagine if a few hundred people would regularly shop downtown on a Saturday! Imagine if only 10% of Pottstown’s 22,377 residents shopped downtown regularly. I can happily report my group was not bothered by any panhandlers while we shopped. There were a few people “hanging around” but they kept to themselves or just said “hello”. It was a very pleasant experience. Don’t miss this classic holiday tale of the mischievous, be-speckled young boy, Ralphie, who dreams of getting a BB-gun for Christmas. In the weeks before the big holiday, Ralphie and his friends and family get into all kinds of sticky situations – including a bully with yellow eyes, a tongue stuck to a lamp post, a bar of soap in the mouth, a garish major award, and a Chinese Christmas dinner. Based on the humorist Jean Shepherd’s novel “In God We Trust, All Others Pay Cash”, A CHRISTMAS STORY is the perfect holiday treat for the whole family! $2 off per ticket for groups of 10 or more! Log on to www.tripac.org for tickets. The Gallery on High/Gallery School of Pottstown is having their Annual Holiday Party on Friday, December 2nd from 5pm – 8pm. The event is free, open to the public and features food, beverages and fun. Everyone is invited to stop by. The party ends in time for everyone to attend Tri-Pac’s A Christmas Story starting at 8pm.